Last week Corn & Soybean Digest published a story calling for farmers to begin voluntary steps to improve soil and water quality, ahead of forthcoming regulatory actions. The previous week, the conventional online digest dedicated an article to cultivation practices intended to help achieve varied state nutrient reduction goals (NRGs) and create better water holding efficiency in soils. Why are commercial agriculture publications advising producers to voluntarily take action to reduce nutrient run-off and water use? Spurred in part by the public’s growing awareness and concern over practices that may negatively impact the environment; federal nutrient reduction initiatives have catalyzed state governments to expand NRGs to reduce nitrogen and phosphorus run-off. Water quality: Producers may want to take extra steps to ensure it before the state legislature makes laws governing it. Since agriculture is the largest source of nonpoint pollution in the world, farmers are taking much of the heat in regards to reducing nutrient inputs. As a community, farmers are being encouraged to incorporate varied cultivation practices to achieve state NRGs that cannot be reached through nutrient reduction alone. The planting of cover crops, no-till or low-till cultivation, and application timing management are tools commonly recommended. However, harnessing the innate functions of soil microorganisms to increase soil health is one of the most promising technologies on the rise. Without soil microorganisms, soil cannot efficiently hold on to nutrients or moisture but contributes to the loss of inputs through increases in run-off of water, nutrients, and valuable top soil. Fertile soil is fundamental for any healthy, productive crop and microorganisms are the foundation of healthy soil and soil water use efficiency. Without soil microorganisms, soil cannot efficiently hold on to nutrients or moisture but contribute to the loss of inputs through increases in run-off of water, nutrients, and valuable top soil. A study managed by a wildlife conservation area was conducted with a product containing SumaGrow on the Ionia Ridge Conservation Area in Missouri. One of the properties observed in this study was soil moisture retention potential. The SumaGrow treated soil experienced a 15 percent increase in soil moisture potential over the control. Because synthetic fertilizers and other conventional farming practices damage or destroy vital soil microorganisms, proper management of the soil’s native microbial community is essential to mitigate water contamination and increase water use efficiency to effectively ‘grow’ our available water resources. At BSEI, we have manufactured microbials for over two decades and understand the fundamental role of microorganisms in natural systems. SumaGrow contains a consortium of microorganisms that continually repopulate the soil with beneficial microorganisms that work in the root zone of the plant to help retain water and nutrients for the plant’s use. This supports higher yielding and hardier crops. There is no single answer to addressing the global soil and water challenges we as humans and societies will face. 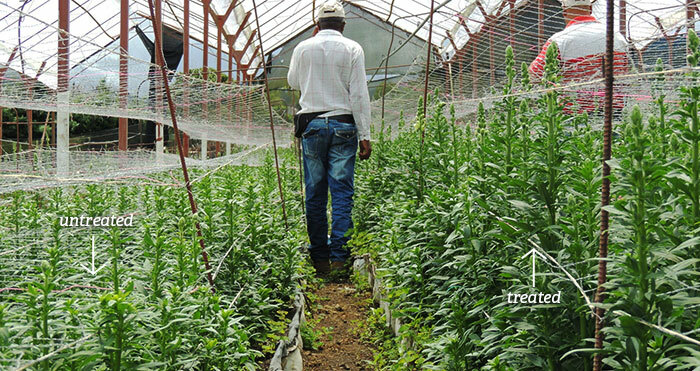 Instead, we look toward an integrated approach using innovative agricultural technologies. BSEI is pleased to announce that much of the research and product development of microbial consortiums in products containing SumaGrow® will be relocated to The Accelerator, a technology driven business incubator founded by the University of Southern Mississippi. The Accelerator, boasting 60,000 square feet including 10 state of the art laboratories, was developed by the university to advance private sector innovation from concept to commercialization. BSEI had been considering leasing with The Accelerator to assist in scaling up operations later in the year. However, the January EF-3 tornado that damaged much of downtown Hattiesburg and Petal, including BSEI’s corporate offices and manufacturing plant, advanced the timeline. This ultimately led to the decision to expedite relocation to The Accelerator. The demand for SumaGrow® products increases dramatically around the first of March as spring planting begins in many parts of the country. This increased domestic demand combined with the recent, higher volume international contracts required BSEI to be creative in scaling up production needs. The Accelerator was an obvious first choice. “We are thrilled about the state of the art facilities and are excited to work around other Mississippi based emerging technologies. We feel like this is the best scenario for us to expedite product research in our field," said Dr. Christopher Flood, Director of Research and Development. BSEI employs three full time scientists as well as scientific consultants in the field of microbiology and has an ongoing contract through the University of Southern Mississippi for continued research and development. “We are currently experiencing a 220 percent increase in sales from this time last year,” said Sean McKeehan, General Manager. This increase is the culmination of many factors, the most important being product performance. SumaGrow® containing products are a unique blend of microorganisms in humates that have demonstrated the ability to restore and maintain soil health. This results in higher quality, higher yielding crops with less irrigation. Reconstruction will begin on the in-house laboratories following the relocation to The Accelerator. Over the last decade unprecedented shifts in agricultural production have led to polarizing policies regarding the environmental impact of food and fiber production. These extremes are most apparent in a few key areas such as the language in the 2018 farm bill, the move towards larger production agriculture from the traditional family farm, the uncertainty surrounding trade agreements, as well as increasing apprehension toward regulatory policies aimed at reducing the environmental impacts of conventional agriculture production. To further confuse things, today's popular opinions are as wide-ranging as these pending policies and shifts. Synthetic fertilizers are hailed as either harmful inputs or fundamental for global food security, pesticides are destroying habitats or harmless in nature, and global warming will limit available agriculture practices in the near future or it doesn’t exist. BSEI’s policy position and the functionality of products containing SumaGrow® have consistently maintained that balance is essential in the global race to develop best management practices that yield greater harvests while utilizing fewer natural resources. In order to sustain the earth’s predicted population of 10 billion people; we must effectively double food production by 2050 while using less land and water. This balance will require us to utilize a variety of strategies that take soil physical, biological, and cultivation practices into account. Additionally, all of this must be accomplished while maintaining or increasing the producer's bottom line. Because soil quality is the true measure for forecasting food security, our team works with generational and production farmers, conventional growers as well as organic growers to create the necessary balance of biological activity in their soils to maintain soil health over the long term. New developments in agricultural technology enable us to better measure the properties of the soil including porosity, compaction, moisture, fertility, and ultimately soil health. Our team of researcher scientists and agronomist use these variables to determine the proper application protocols of SumaGrow® containing products to fit specific needs of growers. Some of the considerations include how variations in soil properties impact microbial life, how synthetic nitrogen impacts the sensitive balance of microbial populations and the effect this has on plant performance, and the fundamental functions microorganisms provide to support plant to plant interactions. As biological soil amendments in agriculture become a mainstream input for growing higher yielding, higher quality crops, we are committed to remain at the forefront of the industry, balancing the need for increased food production with sustainable growing practices. Recently I had the incredible opportunity to visit Israel where water is highly regulated and 58 percent of their water resources are utilized for agricultural production. Our governor-led delegation journeyed through hectares of farmland being fed by water from Israel’s diminishing aquifers, surface water and the Mediterranean. Thanks to their ingenuitive technologies that desalinate sea water for crop use, Israel has a water surplus. 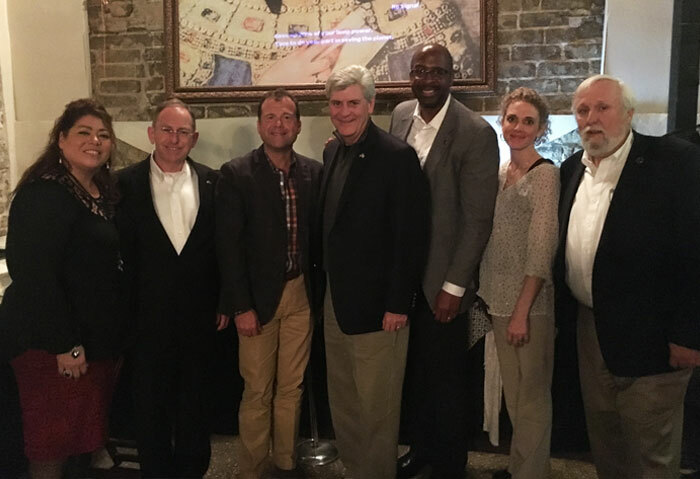 Some of the delegation team takes a quick picture with Governor Phil Bryant (center). In the US, as California makes headlines over the need for more drought resistant farming technologies, the once nebulous notion of developing water efficient practices has evolved into a fundamental necessity. Water in California can cost the producer upwards of $1,000 per acre foot. Additionally, every state in the US is predicted to experience water shortages and stressors within the next ten years and uncertainties well beyond that. Productive crops require fertile soil, water and nutrients to sustain productivity. 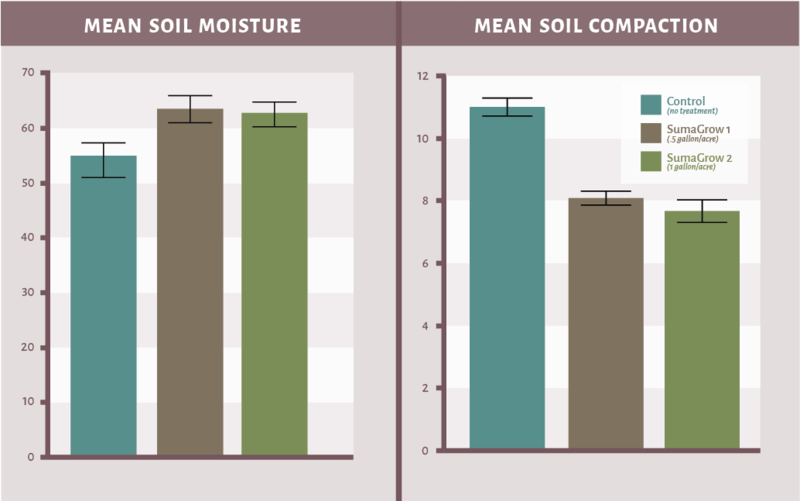 A soil’s water holding capacity, and subsequent water efficiency, is largely contingent upon fertility, structure and microbial population of the soil. Soil science strongly suggests that persistent fertilizer applications, although a valuable and necessary tool for growing higher yielding, productive crops, damage the soil’s microbial community therefore hindering long-term crop productivity. 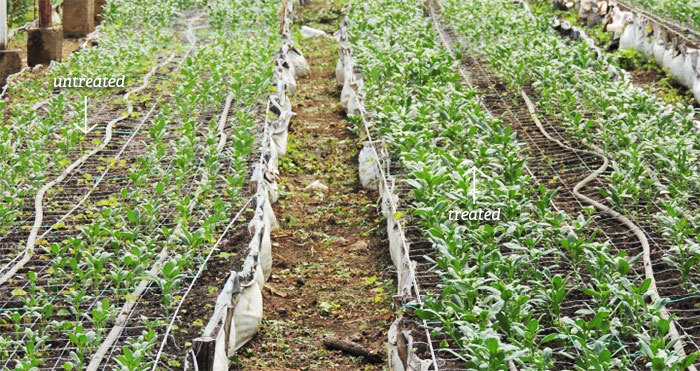 The microorganisms contained in SumaGrow® inside products repopulate the soil with these beneficial microorganisms, supporting long-term crop productivity and increasing profits for farmers. It has been a dry and challenging season for growing ryegrass in the Southeast. The above pictures were taken at a dairy farm in South Mississippi. Decreasing fertilizer input costs while adding products containing SumaGrow® to your management regime capitalizes on nature’s ability to restore and maintain soil fertility and moisture potential. It is because of this biological potential that investments into microbials reached over $120 million last year. While I have witnessed with some interest the emergence of a handful of microbial products in agriculture, I am grateful to work for a company that has over 20 years’ experience in biologicals and over a decade developing pioneering and innovative technologies specifically for agriculture. I am honored by the awards and recognitions we have earned because of the quality of our products and their positive impact on crop performance. Now more than ever, our technology will become a vitally important tool to increase crop productivity, producer profits and the sustenance of arable land. Are you interested in learning more? Click here to see what happens in studies conducted using our microbial technology of SumaGrow® and reduced fertilizer.